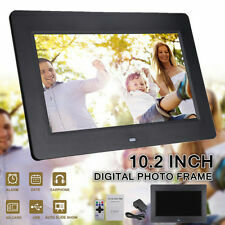 10 inch high-brightness LCD display with a resolution of 1024x600, Clear image and colorful display. Horizontal or vertical image inversion function options to meet different angles installation mode. Multi video input (AV, HDMI, BNC,VGA,USB), high sensitivity, strong anti-jamming. Support 5V1A USB power supply; Built-in speaker. 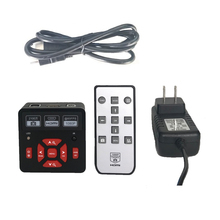 It can be used as a monitor for CCTV system, rear view camera, PC monitor or indoor security use. Suit for game playing, computer using and so on. 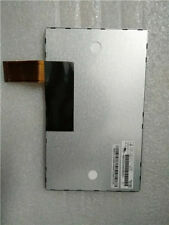 【Mini & Portable】Super slim design with 1/3 inch thickness and HD 1024*600 high resolution. This mini 7 inch TFT LCD monitor is designed tiny and light, you can even carry it in your handbag..
【Personalized Features】Item size: 7.01"(length)x4.64"(width)x0.33"(thickness).Weight: 1.35 pounds. Two power supply methods：One is 5V/2A USB port powered, can be powered by power bank, perfect for working outdoor. Another is 12/1.5A wall power adapter powered..
【Extensive Use】Support Multi-input: AV/RCA, VGA,HDMI, BNC. 2 way video input(AV/RCA), 1 way audio input, HDMI(HD 1080p) ,VGA (800* 600) input.BNC(RCA Male to BNC Female). 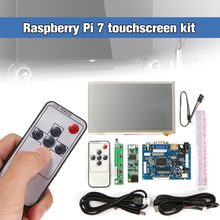 Perfect used as CCTV security monitor, PC monitor, Raspberry PI monitor ,DSLR monitor, and so on..
【Visual Enjoyment】Support Touch Buttons / Remote Control. Built-in 1.5W high fidelity speaker. Menu Language: English, Fancais, Italiano, Deutsch, Espanol, PYCC, Chinese (Simplified/Traditional). 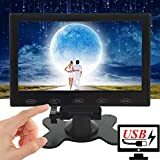 Environmentally friendly, LCD security surveillance monitor is designed to meet Energy Star standards, reducing energy costs and conserving energy..
【Package List & Return Policy】Package Included: 1 X 7" LCD USB Monitor; 1 X Wall Adapter Charger(US Plug/DC 12V,1.5A); 1 X Mount Stand; 1 X AV cable; 1 X VGA cable(Mini USB to VGA Cable); 1 X RCA Male to BNC Female Adapter; 1 X USB Cable (Male to Male Cable); 1 X Remote Control; 1 X User Manual. 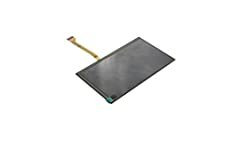 Quality Guarantee to Cover Any Issues: Follow amazon 30 days return policy and 12 months replacement warranty..
We are direct manufacturer , you buy the product with good value without extra middle cost ;. 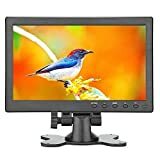 10.1 inch CCTV LCD Monitor / Small PC Monitor / Security Camera Monitor With HDMI/VGA /AV input , Resolution 1024*600 format ；With remote and USB port which has data readable function; Build in dual speakers. 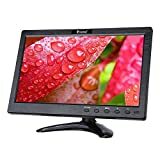 Work as raspberry pi 3 computer monitor screen; Compatible with Sony Canon camera receiver Hdmi output;. 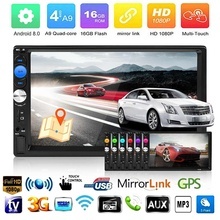 Monitor works perfectly with Car DVD / DVR / FPV / Surveillance camera/STB/satellite receiver/other video equipment..
Package include: 1xTFT LCD Monitor ,1x VGA Cable, 1X DC12V Adapter charger, 1x Cigarette lighter; 1x Remote ; 1X Bracket, 1xSticker;1X User Manual.